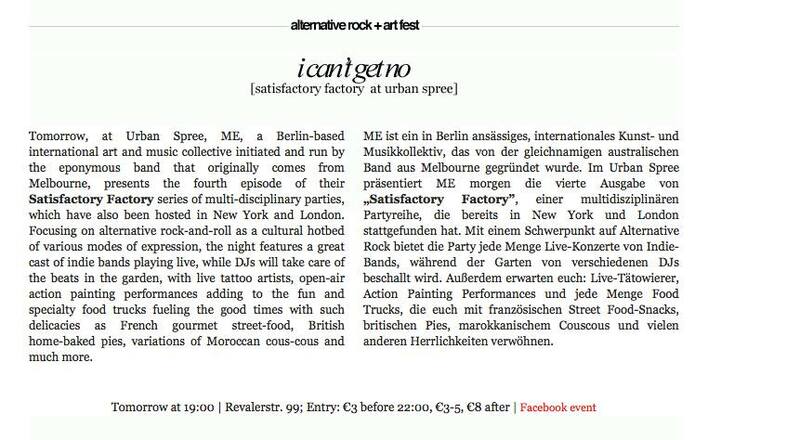 Your Mom’s supports Satisfactory Factory, an international lab for alternative culture, art and rock’n roll curated by Australian band ME. After launching in New York and London, the monthly event was brought to Berlin’s Urban Spree on July 18th and September 27th 2014 with live bands, DJs, live art and live tattooing. Your Mom’s was invited to host the basement floor on September 27th with an all-star female line-up featuring Das She Cray, Magritte Jaco, La Fraîcheur and VC Kristi. 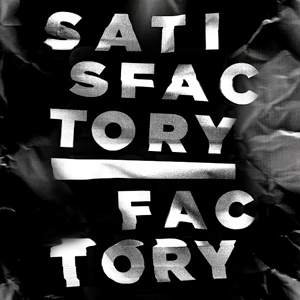 Read more about Satisfactory Factory on Wrangelkiez, Iheartberlin, Live in Berlin, Kaltblut, Sugarhigh, BLN FM, Tip, Uberlin, Pop Monitor, Exberliner, Local Suicide, Fritz and Blitzgigs.